William E. McEwen, born about 1866 in Memphis, TN1, was an amateur baseball player circa 1886-1890. He lived Pine Bluff, AR as a young man. 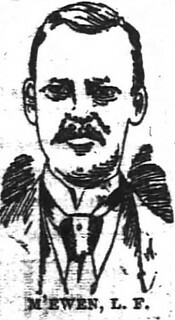 Woodcut of McEwen, from the Atlanta Constitution, 5/18/1890. McEwen was born to Thomas B. McEwen and Annie Owen in Memphis, TN,1, but moved with his family to Pine Bluff, AR, at some point before 18802. 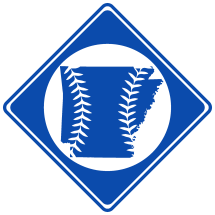 From 1886-1888, McEwen played baseball with a local Pine Bluff team, later heading to Cincinnati to play with an amateur team known as the Indians3. In the fall of 1889, McEwen went to Atlanta, GA, and helped organize a baseball team there. The following year, he played left field for the team. In 1905, McEwen married Elizabeth Whitelaw in Cleveland, OH1. He lived in Cleveland for most of the year of his life, working as a telegraph operator.